Having been an Fountain Valley Resident for 46 years, Vince is involved with FV Chamber of Commerce as the City's Ambassador and also on the Fountain Valley Board of Directors. 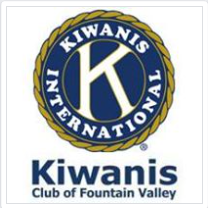 He and Shari are both active members with FV Kiwanis. They believe in giving back to the community to where they grew up. Being in the know, creating awareness and helping our community grow is beneficial to our Buyers, Sellers and the Community. The Vince Sosa Real Estate Team is an award winning team powered by the #1 Real Estate Franchise in the World, Keller Williams. They help our residents with Selling, Buying Investing in Fountain Valley also around Orange County to Riverside. We have a ''Unique Value Proposition'' that puts more money in your pockets. This saves you money and holds us accountable as your Realtor. Try our ''Unique Target Date Technology''! You set the home value, we'll market and sell the listing. It's also what we believe every Realtor or Agent should want to do for you. We set ourselves apart from many Real Estate Agents in our area. Allow us to show you what we do and how you'll benefit by using Edso Realty Group, Inc. It's all about you! Call us now at 714-767-0127 and Start Packing! We'll Sell your home under 29 days ''Guaranteed'' or we'll pay you $5000 CASH! Looking to Buy a home? We'll negotiate $10,000 off of the asking price ''Guaranteed'' or pay you $2500 CASH! There is much more to our ''Unique Value Propositions'' that benefit you! Call us first! Your Referrals Help the Kids and Seniors in need! The Vince Sosa Real Estate Team is on a mission to raise and donate $10,000 for the Kiwanis earmarked to help Kids and Seniors in need. To do that, we are donating a portion of our income from Real Estate Transactions to this worthy cause. Your referrals, those you know considering buying or selling real estate, really do help the Kids and Seniors! It’s easy to refer your friends, neighbors or coworkers who are considering making a move to my award winning real estate sales team. Simply call me at 714-767-0127. It's a great feeling knowing you're making a difference in people's lives! ''Unique Value Propositions'' that benefits you! Call us first! Real Estate helpful hints & tips!